During one year María Molina Peiró carried a wearable camera taking a photo every 30 seconds. The enormous collection of photos collected by the camera are shown in an online archive that instead of "remembering" creates a creative forgetting of the vast photo archive. 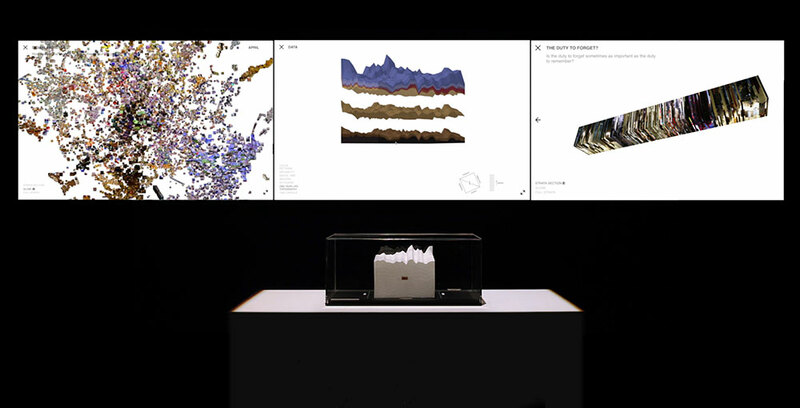 One Year Life Strata proposes a visual metaphor of forgetting by transforming the digital images into what is likely the ultimate memory trace that will remain from us: The geological record. The project, in a sort of digital geology, mines the data from the strata and invite viewers to investigate one year of Maria Molina's life through an AI vision system, not concerned about personal memories but the collection of patterns and numbers they contain. In a society obsessed with recollection, data and monitoring One Year Life Strata addresses the disturbing territory of forgetting. Today that we have the tools to remember and archive almost everything, forgetting has become a term very close to death raising very similar fears. One Year Life Strata wants to overcome this fear and embrace forgetting in a game of time scales, where the speed of Digital Time is buried into a time difficult for us to grasp, the slow Deep Time. María Molina is an audio-visual artist and filmmaker with a background in fine arts. She works in an open format mixing film, digital media and experimental animation. María Molina´s films and art works have been showcased in international museums like Haus der Kulturen der Welt (Berlin), EYE Film Museum (Amsterdam), MACBA (Museum of Modern Art Barcelona), Hong-Gah Museum (Taipei), Centre de Cultura Contemporània Barcelona (CCCB), MATADERO (Madrid) or Museum of Contemporary Art of Vojvodina (Serbia) among others. Her works has been featured in festivals like Rotterdam Film Festival, Art Futura (Barcelona), Taiwan Video Art Biennial, MADATAC (Madrid), VISS (Vienna International Film Festival) or Forecast Forum (Berlin). In her work she explores the increasingly blurred boundaries between material and digital realities. She is particularly interested in the convergences between different memory systems (from Geology to Digital Memory) and how the ubiquity and pervasive nature of Digital Technology is reframing our spatial and temporal perspective. Her films and installations often use metafiction, postproduction and geo-tools to unfold layered realities that connect humans, technology and nature. Her current research focuses on humanity's constant struggle with its temporal and spatial limitations, and how this struggle has driven civilisation and technology to change our relation with nature, time and our understanding of life itself. The protagonists in the film move through spaces like the desert, the city and the gallery space. All are production spaces of the film and combining different layers of time and contexts with each other. The Film follows the history of the gaze. The focus is on the phenomenon of the afterimage. This so-called phi-effect makes film sequences following a strong color stimulus appear in a complementary color. The effect is based on the fact that the retina continues to briefly perceive an image after the light stimulus and merges it with the following image. The sound sometimes refers to the previously perceived film still in some instances, letting the words speak at a different position. The brain requires a moment to connect what is heard with what is seen. Furthermore, the afterimage links different levels of time, the past with the present moment, which in the next instant is already the past again. Daniel Laufer is an artist, filmmaker and curator, lives and works in Berlin. He has studied at the HBK-Braunschweig. Laufer is a recipient of the grant of the Arthur Boskamp Foundation for Space concepts, Stiftung Kunstfonds and the Berlin Senat among other awards.His exhibitions include: Artists Space, NYC; KM Gallery, Berlin; Galerie Kamm, Berlin, Kunstverein Harburger Bahnhof, Hamburg; Schaufenster, Kunstverein f. d. Rheinlande und Westfalen, DÃ¼sseldorf; Fridericianum, Kasseler Kunstverein, Kassel; KW Institute for Contemporary Art, Berlin; Jewish Museum Berlin, Kunstmuseum, Bonn; Van Gogh Museum, Amsterdam; Irish Museum of Modern Art, Dublin. Various reels of found 35mm movie film are pulled over a light box under the fixed gaze of video capture. Through veils of apparent motion, the movements of characters can be discerned and their motivations artfully speculated upon. An oblique tribute to Pere Portabella`s Vampir-Cuadecuc, narrative and plot in Untitled (time) are progressively subsumed in a switching and swaying abstraction to percussion rhythms crashed out on cymbals. Julie Murray was born in Ireland and lives in the US. Her work has been included in many festivals including the New York Film Festival, Images, Rotterdam International Film Festival, and has been exhibited at the Whitney Biennial and more recently at Irish Film Institute/ AEMI Dublin. Her films are in the Academy of Motion Picture Arts and Sciences Film Archive, LA The Museum of Modern Art`s Film Archives, NY as well as the Whitney Museum of American Art. Prints of her 16mm films are also to be found in the Public Library`s Special Collections, New York. She likes this fact. Murray`s early super-8 films were selected for a National Film Preservation Foundation Award in 2014. How do you shoot a documentary when you know that filming is not allowed? In 90 Seconds in North Korea, Ranko Paukovic filmed in slow motion, shooting secretly in 2-second intervals on a hi-speed camera that everyone else around him believed was an ordinary tourist stills camera. Each 2-second fragment created 20 seconds of slow motion footage. The result is a dreamlike yet breathtakingly normal montage of everyday street, road and beach life in a state that strictly controls what outsiders are allowed to see. A child plays with a toy car in the park, adults enjoy a game of cards in the park's picnic area; trucks drive along an empty road, the rays of the setting sun lend warmth to lush countryside, and a shower of rain falls on the streets of Pyongyang… As it was impossible to record any interviews or ambient sound, the soundtrack features a haunting and evocative sound design composed by the director, an accomplished sound editor. The pragmatic, necessary decision to shoot in slow motion lends the film a poetic quality: in Ranko's own words, "the form is born out of need". Ranko Paukovic studied film at the Academy of Dramatic Art in his hometown of Zagreb, Croatia. After graduating, he worked as an assistant editor on large international co-productions. He moved to The Netherlands in 1991 and worked as a sound editor with prominent Dutch directors. In 1993 he set up his own sound studio, Editson, specialising in sound design, sound editing and film mixing for artistically ambitious projects. Still based in Amsterdam, Ranko is now in demand internationally. He has built up an impressive back catalogue of work including feature films, high-end television drama and documentaries. A few years ago, he made his debut as a director with the feature-length documentary Bijela Kuca (White House), about the unique white stone found on the island of Brac, Croatia and the people who earn a living from quarrying it. White House was shown at several international film festivals and broadcast by Croatian national television (HRT) and Al-Jazeera Balkans. His last documentary "The End of Darkness" about the last European female mine workers just premiered at Al-Jazeera Balkans Docs in Sarajevo. The film was supported by the Croatian Film Fund (HAVC). Ranko is also a visiting professor for the University of Zagreb, where he teaches sound design. Googoosh, a popular and loved Iranian-Azerbaijani singer, performs a version of the song AyrÄ±lÄ±q â€“ Separation. The performance is from a 1970s television show and it has been copied several times from one videotape to another. AyrÄ±lÄ±q could be a love song but it is told that composer Ali Salimi (who as a young man had to leave Soviet Azerbaijan, move to Iran and leave many of his loved ones behind) wanted to make music about his sense of longing. Azar Saiyar is Helsinki-based filmmaker and visual artist whose art has been shown at film and media art festivals, galleries, exhibitions, museums and from television. Currently she is working with a short film project called The Story of a Badly Behaving Child and Monument of Distance â€“ a found footage piece on immigration and memory. She often uses archive materials and plays with images and words of collective memory to look towards the ways of looking, speaking, remembering, growing, conforming and telling stories. She also does collaborative works with other artists. The theme of music is represented by work of Kurdish-Iraqi filmmaker Sherko Abbas: The music of the Bush era. in a split-screen video, using footage shot by his sister, a cellist in the Iraqi National Symphony Orchestra, he demonstrates how in 2003 the US administration, instead of helping the orchestra to properly re-establish itself in Iraq, militarily airlifted the entire orchestra to Washington to perform once at the Kennedy Centre before President Bush. his film is critical of this futile propagandistic gesture, enacted in the shadow of the invasion in March of the year to promote neo-liberal values, and escape censure. The work was partially inspired by Slavoj Zizek's analysis in his Pervert's Guide to Ideology of the widespread ideological use of Beethoven's Ode to Joy from his Ninth Symphony. Sherko Abbas Born in 1978, in Sulaymaniyah, Kurdish Autonomous Region, Iraq. Lives and works in United Kingdom. He studied Fine Art in Sulaymaniyah and graduated with Master of Fine arts at the Goldsmiths University of London in 2015. He employs the media of video, performance, text and sound in his practice dedicated to the sonic and visual memory and geopolitical situation of contemporary Iraq and Kurdistan in Particular. He has participated in many exhibitions including his work THE MUSIC OF BUSH ERA was Shown in last Iraqi pavilion (Archaic) in Venice Biennale 57th, the Bagdad mon amour in ICI Paris, Vernacularity, Alternativa International Visual Arts Festival in Gdansk, Poland and the Estrangement in showroom London, Freedom at the barricades? Vaxjo Art Hall, Vaxjo, Sweden. The Afternoon Knows What the Morning Never Suspected. It is a 3-channel 22-minute work that opens with a brief history of the Vietnam War, assembled from historical documents and footage, and then proceeds to detail Canada's complicity in the conflict, drawing attention to the massive profit that Canadian companies made during this time. The work also references the American draft dodgers who settled in Canada in the late 1960s, creating a context for the connection to today with a mesmerizing drive down Yonge Street in 2017. It is an interesting time to re-examine Canada's self-view in relation to the Vietnam War: yes we took in the draft dodgers (the work makes ample reference to this) but we also profited from the war (in spite of the fact that these profits were strictly against our own laws). The work concludes with the on-screen presence of our two performers, each telling the other's life story: one a first generation Canadian, the child of a Serbian/Croatian marriage; the other born in Canada to Vietnamese immigrant parents. Lisa Steele and Kim Tomczak have worked exclusively in collaboration since 1983, producing videotapes, performances and photo/text works. 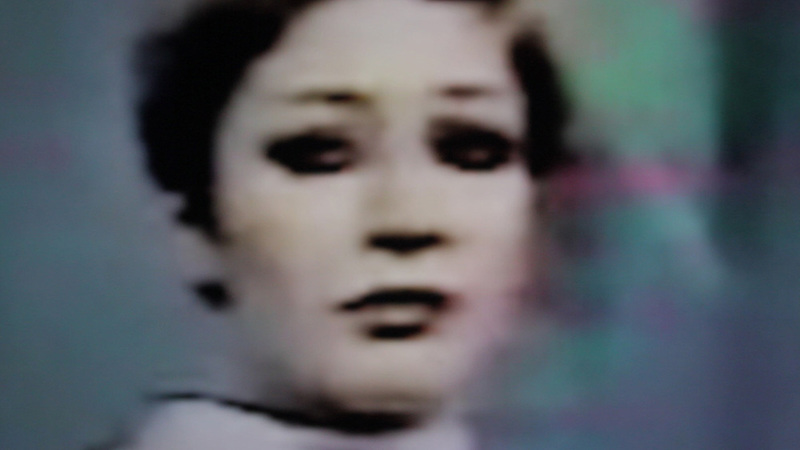 In 2009, Steele + Tomczak were awarded an Honourary Doctorate by the University of British Columbia (Okanagan); in 2005, a Governor General`s Award for Lifetime Achievement in Visual & Media Arts; in 1994 they received both a Toronto Arts Award and the Bell Canada prize for excellence in Video Art. They are co-founders of Vtape, an award-winning media arts centre established in 1983 in Toronto. Currently Steele is Artistic Director and Tomczak is Restoration and Collections Management Director. Both teach at the University of Toronto in The John H. Daniels Faculty of Architecture, Landscape, and Design. Major public art commissions include: Watertable (2009, and expanded in 2011) a light and sound installation under the Gardiner Expressway (a raised highway) that marks the original shoreline of Lake Ontario at the foot of historic Fort York; …bump in the night (Barrie) (2010) commissioned by McLaren Art Centre and installed in bus shelters; Falling Up (2006) a video work for the Winnipeg Art Gallery; Love Squared (2006) screened on the 2400 square foot video board at Yonge & Dundas Square in Toronto. A major survey of their work, The Long Time: the 21st century work of Steele + Tomczak, curated by Paul Wong (with a 84 page catalogue), opened at On Main Gallery and VIVO, Vancouver, BC in September 2012; the exhibition traveled to A Space Gallery, Toronto, ON (2013), the Art Gallery of Windsor, ON (2016-17), and Dalhousie University Art Gallery, Halifax, NS (2017). Legal Memory, their first feature-length work, has been shown in a number of film festivals since its release including: The Los Angeles Gay and Lesbian Festival, the Festival Internazionale Cinema Giovani (Turin, Italy), the Toronto Festival of Festivals and broadcast on TVOntario. In 1996, their work BLOOD RECORDS: written and annotated, received a world premiere at the Museum of Modern Art in New York and toured across Canada with a bi-lingual catalogue published by The Oakville Galleries. Recent solo exhibitions of their works have taken place at Anna Leonowens Gallery, Halifax, (2014); Le Mois de la Photo a Montreal (2011); WHARF Centre D`art contemporain, Herouxville-St. Clair, France (2010); Diaz Contemporary, Toronto (2009); Akademie Schloss Solitude, Stuttgart, (2009); Dazibao, Montreal (2008); the Canadian Cultural Centre, Paris (2003). Selected group exhibitions and screenings of their work include: Every. Now. Then. Reframing Nationhood, Art Gallery of Ontario (2017); Imago Mundi, Instituto Veneto di Scienze, Lettere e Arti, Venice, Italy (2017); La Biennale de Montréal, Musee d'art contemporain de Montréal (2014); Carbon 14: Climate is Culture, Royal Ontario Museum, Toronto (2013); STITCHES: Suzhou Fast Forward, Workshop, Toronto (2011); Empire of Dreams: phenomenology of the built environment at the Museum of Contemporary Canadian Art, Toronto (2010); a focus screening at EXIS: Experimental Film and Video Festival in Seoul, Korea (2010); the Berlin Film Festival, Forum Expanded (2009); Akbank Sanat, Istanbul (2009); TIFF (Toronto International Film Festival) Future Projections (2009); Sophia, Bulgaria at the Central Bath House (2008); a focus screening at Rencontres Internationales Paris/Berlin/Madrid (2006); Beyond/In Western New York, organized by Albright Knox Gallery, Buffalo (2005); Trivandrum Video Festival, New Delhi (2003); City of York Public Gallery, York, England (2000). Pendant un an, María Molina Peiró a pris des photos toutes les 30 secondes, créant un enregistrement géologique centré non pas sur des souvenirs personnels, mais sur une collection de motifs, interrogeant la peur de l’oubli. Daniel Laufer filme un protagoniste évoluant dans plusieurs lieux, le désert, la ville, la galerie. La vidéo fait alterner plusieurs couches d’espace et de temps, interrogeant le phénomène de la persistance rétinienne et le sentiment du perçu. Julie Murray explore sur une boîte à lumière la pellicule de films réalisés en 35 mm, et les filme en vidéo. Au travers de voiles qui prennent l’apparence du mouvement, des gestes son perçus, créant des fictions possibles. Ranko Paukovic étire quelques secondes d’images filmées en Corée du nord. Ces fragments de vie quotidienne semblent sortir d’un rêve. Azar Saiyar fait défiler les images d’une célèbre chanteuse iranienne des années 70, Googoosh. Son chant parle d’amour, de séparation et de nostalgie. Sherko Abbas rassemble des fragments d’archive vidéo de sa sœur violoncelliste, invitée avec l’Orchestre symphonique national d’Irak à jouer devant le président Bush en 2003. Lisa Steele et Kim Tomczak questionnent l’histoire de la guerre du Vietnam, et interrogent le rôle paradoxal que le Canada a joué dans le conflit. Bien que refuge pour les objecteurs de conscience, le pays a cependant fermé les yeux sur les profits de guerre réalisés par certaines sociétés. En présence de Sandro Aguilar. Paulo works as a night guard in a building site. He lost his daughter in dramatic circumstances and no regret would ever give him a sense of closure . He often sleeps in his lover`s house where he witnesses the repeated transgressions of an unstable neighbor. Everything threatens to crack. Born in 1974 in Portugal, Sandro Aguilar studied film at the Escola Superior de Teatro e Cinema, in Lisbon. In 1998 he founded the production company O Som e a FuÌria. 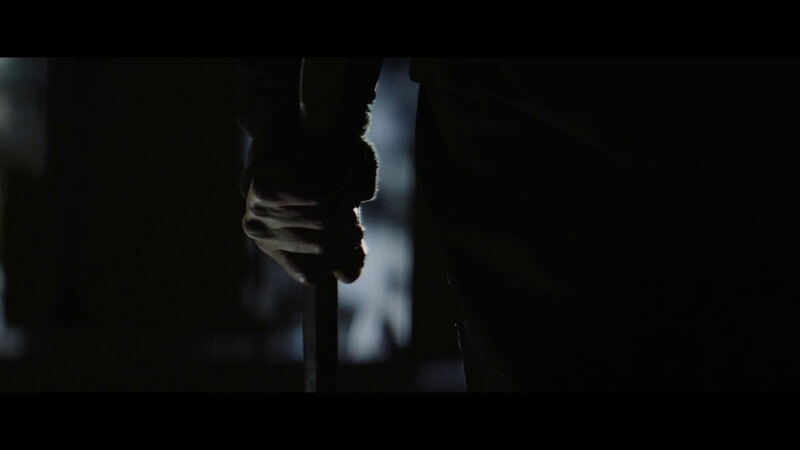 His first fiction feature film was UPRISE (2008). MERCURY (2010) was in competition for the Tiger Awards for Short Films at IFFR 2011. His films have won awards at festivals, such as La Biennale di Venezia, GijoÌn, Oberhausen and Vila do Conde, and have been screened in Torino, Belfort, Montreal, Clermont-Ferrand among others. Besides being a director, Aquilar is an editor and a producer. MARIPHASA is his second feature film. Sandro Aguilar filme un entrelacs énigmatique où tout est sur le point de se rompre. Un envers du monde, où tout converge. L’image, obscure, est indécidable. Un personnage, Paulo, travaille comme gardien de nuit sur un site en construction. Il a perdu sa fille dans des circonstances dramatiques, et rien ne pourra l’apaiser. Il dort souvent chez sa maîtresse, d’où il est le témoin de transgressions répétées d’un voisin instable. Le monde se fige, à travers le miroir, tout est à recommencer. En présence de Dora García. Doria García entrecroise politique, psychanalyse et performance. Le film en apparence documentaire se centre sur la figure d’Oscar Masotta, théoricien majeur de l’avant-garde argentine des années 50-70. Les idées de Masotta sur la psychanalyse lacanienne, la politique et l’art, ont changé le paysage artistique du Buenos Aires des années 60, précédant la dictature qui a mis fin à cette avant-garde. «Segunda Vez» provient du titre éponyme d’un roman de Julio Cortazar, contemporain de Masotta, qui raconte le climat de psychose et d’incertitude causé par le trauma des disparitions en Argentine. Dora García combine des scènes apparemment disparates, cependant liées par la répétition et l’observation : un message spectral dans une ville agitée, deux publics qui convergent sur une falaise, la brève apparition d’un hélicoptère, un groupe de personnes pauvres et âgées rassemblées sur un podium, une bibliothèque où des lecteurs se savent surveillés, une salle d’attente où un jeune homme est appelé. Il doit y retourner une seconde fois. La séance est complète. Les réservations pour la performance de Michael Snow sont closes. La performance sera retransmise en direct dans le Forum du Centre Pompidou, en accès libre sans réservation. Carte blanche à Michael Snow. Dans le cadre des Rencontres Internationales Paris/Berlin, en collaboration avec le Service cinéma - Musée national d’art moderne, Centre Pompidou. La performance aura lieu dans l’espace du salon du musée (collection permanente, 5e étage). En raison du nombre de places limité, l’accès au concert s’effectuera sur réservation uniquement. Retransmission en direct du concert dans le Forum du Centre Pompidou, en accès libre tout public sans réservation. Michael Snow (né en 1929 à Toronto) débute sa carrière en tant que pianiste professionnel de jazz dès la fin des années 1940 avant de se tourner vers la peinture, la sculpture et le cinéma et de développer une pratique despécifiée qui se joue de l'autonomie des mediums. C'est ainsi qu'en 1967, à l'époque où il réalisait son premier chef d'œuvre cinématographique, Wavelength, qui marquera durablement l'histoire du formalisme, Snow pouvait déclarer dans le style facétieux qui restera toujours le sien : « Mes peintures sont faites par un cinéaste, mes sculptures par un musicien, mes films par un peintre, ma musique par un cinéaste, mes peintures par un sculpteur, mes sculptures par un cinéaste, mes films par un musicien, ma musique par un sculpteur... qui parfois travaillent tous ensemble. En outre, mes peintures ont été en grand nombre faites par un peintre, mes sculptures par un sculpteur, mes films par un cinéaste et ma musique par un musicien. Il y a une tendance vers la pureté dans chacun de ces media en tant qu'entreprises séparées. » Michael Snow, 1967, cité dans Michael Snow, cat. exp. Paris, Musée national d'art moderne, 1979, p. 7. Vous êtes toutes et tous chaleureusement invités à la soirée de clôture, à l'auditorium du Louvre à partir de 20h. Pour sa séance de clôture, les Rencontres Internationales Paris/Berlin vous invitent à découvrir une courte séance de projection, suivie d'une concert multimédia de Thomas Köner, en première internationale. Travaillant à la croisée du son et des arts visuels, Thomas Köner, né en Allemagne en 1965, confère à sa musique textures, couleurs, spatialité et une dimension philosophique. Compositeur de musique électronique et techno, producteur, il réalise des performances audiovisuelles live et des installations multimédias. Ses œuvres invitent le spectateur/auditeur à s’aventurer dans des territoires inconnus où les données spatio-temporelles sont bouleversées et les perceptions exacerbées.